Eraole is a unique machine in a sea of unique craft. Powered by a combination of sunlight, Total biofuel, and hydrogen, Raphael Dinelli’s tandem-winged biplane has been under development for many years. 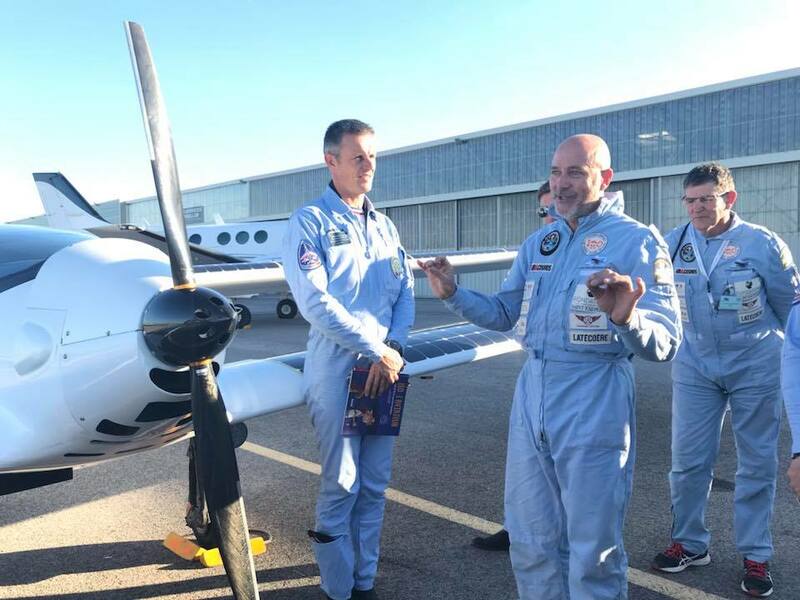 With it, Raphael hopes to cross the Atlantic in 2019, Duplicating Charles Lindbergh’s 1927 flight at about half the Spirit of the Spirit of St. Louis’s speed. Eraole’s first flight took place in 2016. The video will allow you to compare its look then with its changed appearance today. Dinelli’s original plan for the flight included the use of an algae-derived fuel to run Eraole’s engine/generator. As reported by La Tribune, though, “For four years, the Ocean Vital Foundation conducted research with the Fermentalg research laboratory in Libourne to produce a fuel based on micro-algae. The Biojet fuel will provide about 70 percent of the energy necessary for flight, with solar cells adding 25-percent. The remaining five percent will come from a hydrolysis process that will produce hydrogen to help power the motor. During the last two years, Dinelli added struts between the lower front wing and the upper rear wing, possibly to stiffen the two light, independent structures. On September 8, Dinelli flew eight hours and reached 7,040 feet. He reported, “At this height, I was able to cross airliners. It was pretty impressive!” Flying where airliners crossed his path and setting personal best records that day gave him the necessary encouragement to tackle the Latécoère Raid, a voyage down the edges of France, Spain, and Northern African countries to Dakar, Senegal. The route honored the early Aeropostale aviators such as Pierre-Georges Latécoère, Jean Mermoz and Antoine de Saint-Exupéry. Dinelli’s friend Abel Sevellec wrote this poetic homage to Dinelli, appropriate for their mutual love of the French aviation pioneer and writer Antoine de Saint-Exupéry following their voyage down the west African coast. “It is this marvelous encounter that I have made in these landscapes of sand and sky where wild regions of the soul and the colors of time lend themselves to confidences. They reveal to us the invisible bonds that bind us to the planet and the greatness of man. 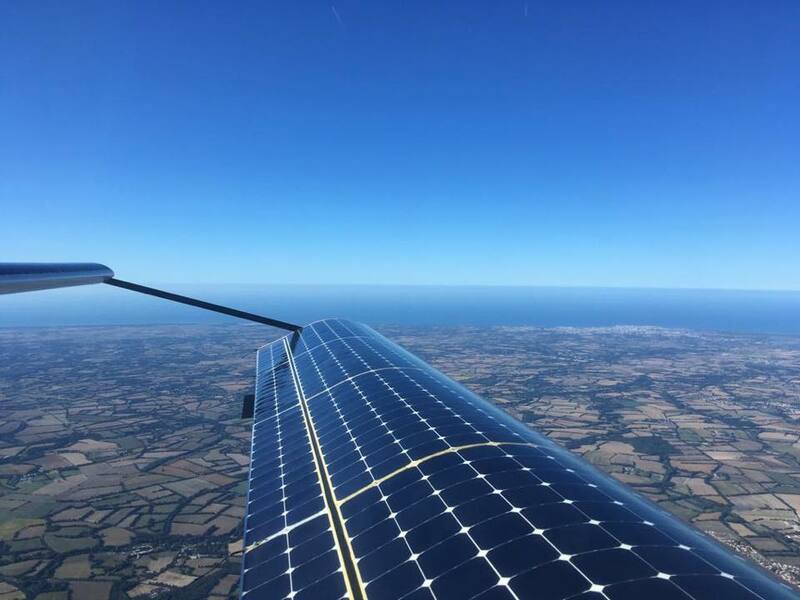 This is how Raphael, in the footsteps of Charles Lindbergh, [will] attempt in 2019 the crossing of the North Atlantic with his electric-hybrid aircraft Eraole. Always further, always more innovative, it will come into play, in a total commitment, to take a decisive step towards the future. Towards a clean planet.